The flagship of the OffWorld Percussion fleet is the Invader™ V3 Series pad. Originally catering to the needs of the marching world, the Invader™ V3 represents the apex of rehearsal tools. Among the features that make the Invader™ so desirable is our signature DarkMatter™ playing surface. This advanced polymer is a custom material that comes as close to replicating the feel of playing on a Kevlar style marching head as any that have come before. The bottom surface also sports DarkMatter™ which displays an amazing non-slip reaction when placed on various surfaces. This surface is so non-slip in fact that it may be used at extreme angles and on surfaces like no other pad of it’s kind. 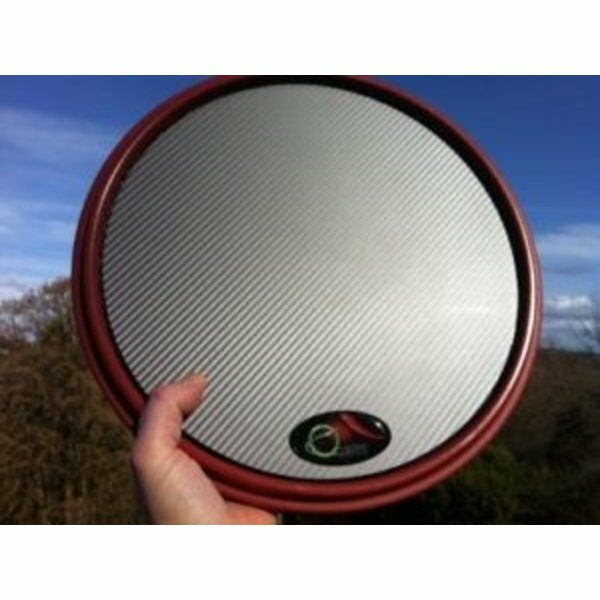 Additionally, the bottom surface can also be used as a more common drum pad. When the executing of rim shots on the rim produces a level of volume beyond what is appropriate in certain practice situations, you can just flip it over. 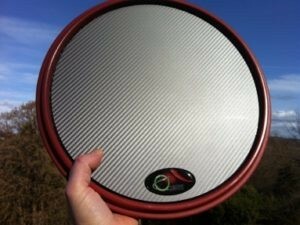 Another key feature is our patented Rim available in Black and Maroon Red. Nearly unbreakable, and designed to inflict far less damage to sticks than metal rims, the Invader™ V3 rims produce great shots at a volume and tone that allow for clear distinction between the shot and the amazingly articulate DarkMatter™ surface. At 13.75″ inches in diameter, the V3 fits comfortably onto a 14″ inch drum while offering as close to actual snare surface area as possible. At 5 pounds, there is enough weight and heft to provide a solid, stable foundation beneath your sticks, offering a truly satisfying experience for players of all levels. When 90% of your playing time is spent on practice pads, having a rehearsal analog that replicates the drum on which you perform is of enormous importance and benefit. By shrinking the gap between rehearsal and performance, the Invader™ series has redefined the practice pad from accessory to an indispensable tool to improve your craft. The INVADER™ V3 VML is available with a Black, Gunmetal, or Blue Chameleon Vinyl/Mylar Laminate surfacing. The Vinyl/Mylar Laminate covers the full span of a 12″ diameter playing surface, maximizing volume and articulation across the entire pad. The Mylar base, which provides all the performance functionality, is a robust 14mm thick. This material is, for all intents and purposes, nearly indestructible under normal playing conditions. By contrast, the Vinyl top is actually a fairly thin material, originally designed for use as an auto-wrap, and is meant to serve as “paint”, giving the VML its visual appeal.